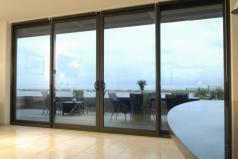 At Warmer Services we offer a vast range of quality Aluminium windows at Shutterton Bridge, Dawlish. Our range of windows are available in a wide range of colours and finishes that comply with all British and European standards. Compliance with document L for thermal tranmittance applies. 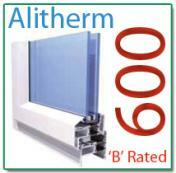 The Alitherm series of windows offer a range of high quality glazing solutions for side hung, top hung open out and parallel opening casements, suitable for both residential and commercial applications. Traditional casement windows inspired by the elegance and style of timber products. Automatic parallel opening commercial windows designed to provide a balanced airflow in multi-story commercial buildings. 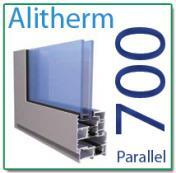 All Alitherm profiles have an innovative polyamide thermal break technology which creates a barrier between the cold air outside and the warm air inside. This technology significantly reduces thermal transmittance and enhances the overall U-value of a product. 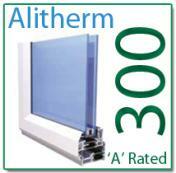 The Alitherm range are designed to meet the exacting requirements of Document L 2010.